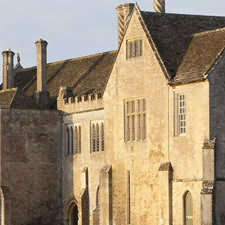 Take away the hassle and see the beautiful Cotswolds by using a company specialising in organised tours taking full advantage of their personal and intimate knowledge of the 'special places' to see and using accommodation that can be personally recommended to ensure a trouble free and unforgettable holiday. Organised Cotswold Tours are full escorted with in-depth information given by local driver guides on places visited. kook-y –adjective, kook-i-er, kook-i-est. Slang . of, like, or pertaining to a kook; eccentric, strange, or foolish. The Cotswolds is a region best explored in an unhurried fashion over a few relaxing days. 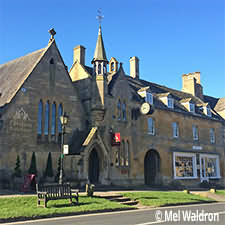 At Kooky Cotswold Tours we will arrange the whole Cotswold Experience for you including transport, accommodation, itinerary, entertainment and much more. Kooky Cotswold Tours is owned and operated by Lee & Emma, two travel nuts who after many years travelling the globe returned to the Cotswolds, which is where they call home. 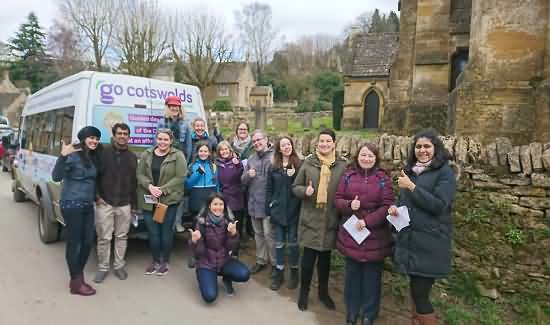 We combined our love of travel with the beauty of the Cotswolds, threw in our way of touring based on our own experiences and the result is Kooky Cotswold Tours! At Kooky Cotswold Tours we ensure you see everything the Cotswolds is renowned for – plus a little bit of what you never knew existed. Most visitors expect to see honey coloured villages and grandiose manors surrounded by beautiful countryside, and these are plenty. 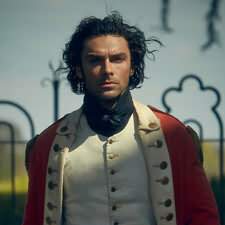 But there is so much more to be seen if you venture a little deeper. You’ll be charmed by what we’ll find. Let us take you down hidden lanes and back roads in your own chauffeur driven luxury transport to places where large buses and tour groups can’t go! We use a brand new Volkswagen Transporter – a luxury eight seater with plenty of luggage space. The vehicle is air conditioned and the elevated seating position means you get better viewing above those hedgerows! We will arrange stays in your preferred choice of accommodation – from small bed and breakfast establishments, to authentic farmhouse stays to luxury five star hotels. Your overnight stays are carefully chosen to give you the opportunity to make the most of long summer nights in the Cotswolds – enjoy an al fresco Shakespeare performance in a wooded glade or sample the delights of a village pub bbq. Staying for a few days also increases your chances of seeing fauna, dusk and dawn being the best times to witness some unique local wildlife. We can also recommend the best places to eat, drink or take in a show or festival. We design flexible and relaxed itineraries to suit you. An unforgettable drive along the Romantic Road, a family tour with something for everyone, fact finding trips for historical enthusiasts – whatever the reason for your tour, we aim to please. We create relaxed and unhurried tours for up to eight people to suit any taste and are not restricted to the Cotswolds. We can pick you up and drop you off from any location at the beginning and end of your time with us. Tours can last as long as you wish. 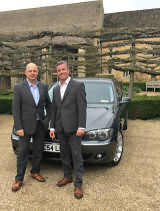 The best way to experience the beautiful Cotswolds for one or two couples is to stay overnight on a 2 day tour with Cotswold Organised Tours operated by Pegasus Chauffeur Services. We take all the stress out of organising and booking your overnight stay and our knowledgeable chauffeur guide will show you around in a comfortable air conditioned executive saloon for a relaxing and informative visit. We have been escorting visitors throughout the Cotswolds for a number of years and built up a vast knowledge of the area. Your short break can combine the Highlights of both the North and the South of the Cotswolds in a beautifully paced 1 or 2 day tour visiting some of the most iconic attractions in the area and staying in hand picked B&Bs and Hotels. However, we realise that sometimes you may want to plan your trip around some of your own interests,and we can alter the details of any of our tours to suit you. Our example itineraries for a one night stay and one/ two day tour is therefore not definitive and can include places and interests of your own choice. Indeed we can add or even alter the itinerary as we travel around depending on the circumstance. We have a range of accommodation to suit all tastes and budgets. You have the choice of traditional B&B or stay in the finest Hotels the area can offer, some with Michelin rated restaurants. See our website for further details. 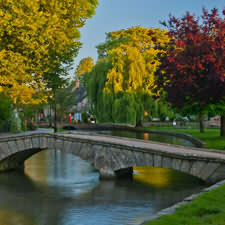 If you’re travelling in the UK, then coming to the beautiful Cotswolds is a must. Recognised as an area of outstanding natural beauty, we can take you to some of the most picture-perfect villages and locations the Cotswolds has to offer.